Elaine Hancock (Olney, United States) on 14 July 2016 in People & Portrait. 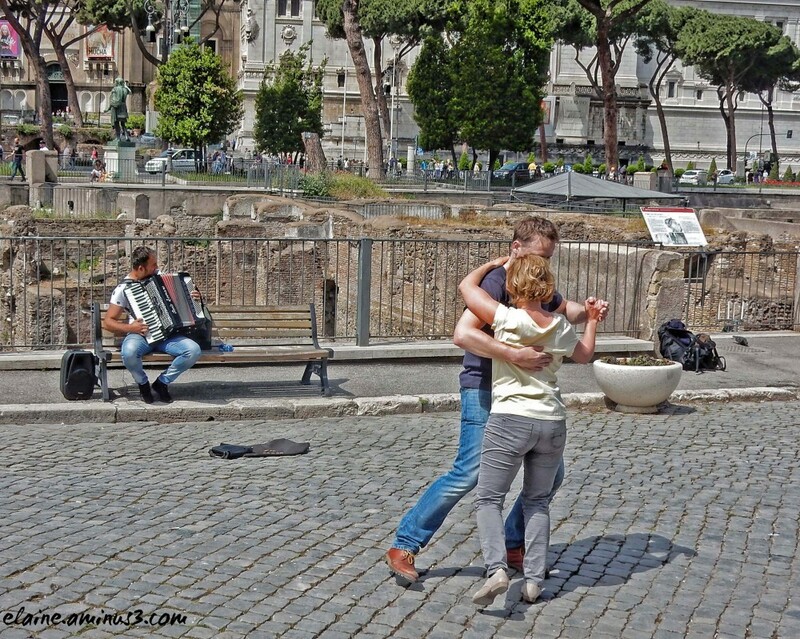 This couple just started to dance as they passed by the accordian player. Magnifique scène, peut être sont ils avec lui ? How sweet this is - lovely ! Une très belle scène de rue! This is Rome... welcome in my city ! @Nazzareno: It was spectacular. I had a wonderful time! Great people, great food, great wine! Tender stage of life. We must take advantage of every moment, that's the secret! I think the accordion player would be pleased that a couple started dancing. Love the texture and pattern of the street. What a friendly atmosphere! Great spur of the moment candid shot that you've captured here!! Keeping the accordion player here adds to the festive moment. Génial ensemble cet accordéoniste sur le banc lles danseurs dans la rue quelle vue quelle iamge superbe.